Jeff Schechtman's "Specific Gravity": Are Americans Afraid of Optimism? We live in an age of paradox. Crime and murders are down, yet we are more fearful than ever about gun violence. Technology has made life easier in so many ways, yet Silicon Valley is becoming the boogeyman and technology is and will be replacing jobs with greater and greater speed. Diseases that were once a death sentence are now manageable, but healthcare costs are escalating and the divide among those that can and cannot afford quality healthcare is growing. And we’re not living as long as we used to, and other nations have a better quality of life. 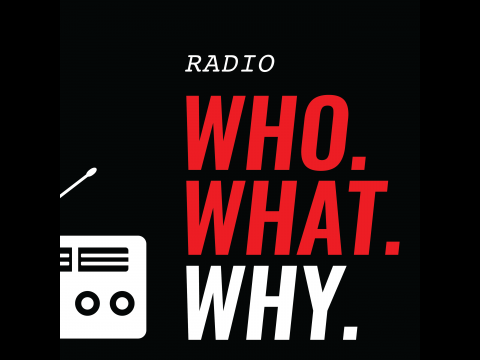 Millions and millions of people in the developing world are experiencing a standard of living never imagined possible, yet some would pull up the bridges and have us disconnect from that world, all while the doomsday clock moves closer to midnight. Tribalism divides us, social media, politics, and economics reinforces that divide, and the 24/7 always on culture makes it happen faster and faster. So, where is there any reason for optimism in all of this? 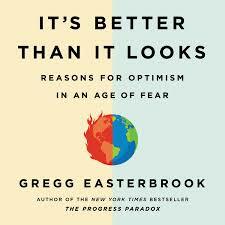 This is where Gregg Easterbrook takes us in It's Better Than It Looks: Reasons for Optimism in an Age of Fear .